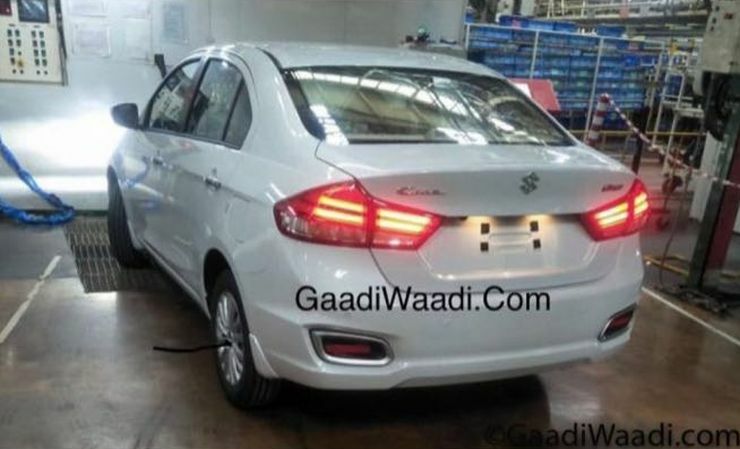 Maruti Ciaz Facelift: New spyshots reveal more! 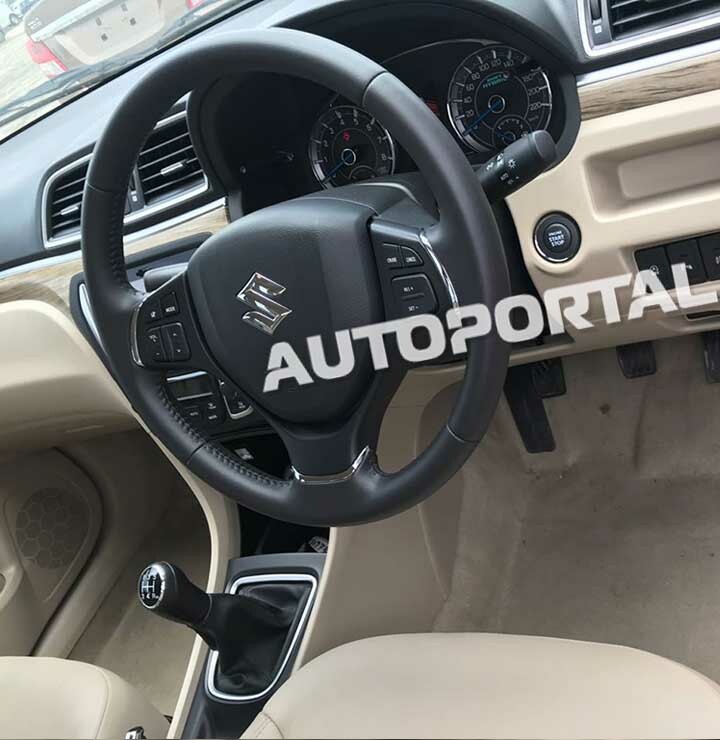 The facelifted Maruti Ciaz is just days away from being officially revealed, and the launch will happen by the middle of August 2018. 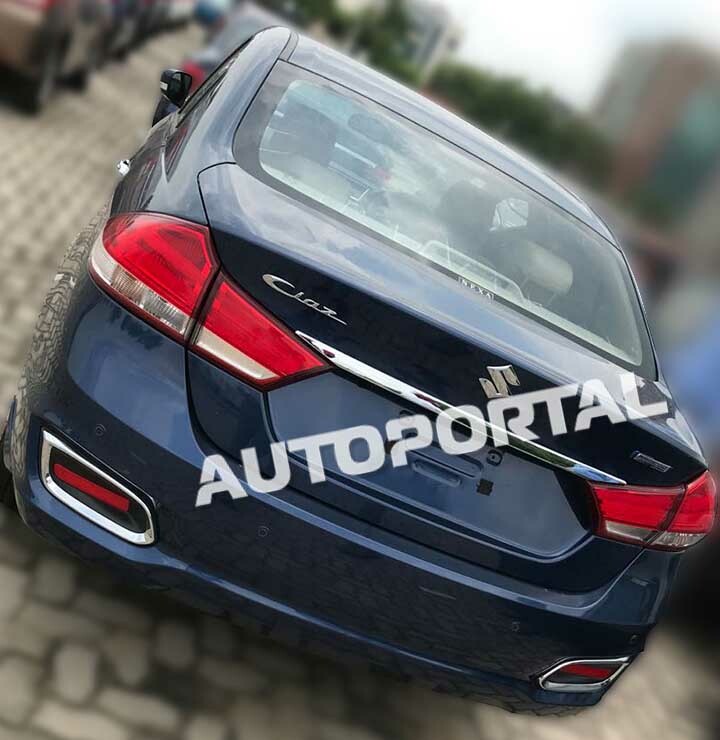 The C-Segment sedan was recently spied without camouflage, and here are more spyshots that reveal even more about this Honda City challenger. 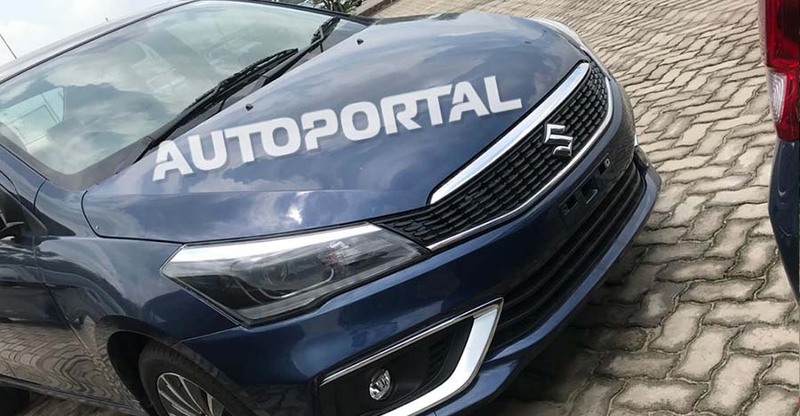 As the spyshots indicate, the all-new Ciaz will get revamped front and rear end styling, making it a much sharper looking car. The bumpers have been reprofiled, the headlamps are sharper, the tail lamps get a new design, and the front grille is all new. Maruti Suzuki seems to have tried to sharpen the soft curves of the pre-facelift Ciaz, and the result is a sharper, more aggressive looking car. On the inside, slight changes to the overall colour scheme of the interiors are likely, along with feature additions. Specific details are expected to be revealed soon. 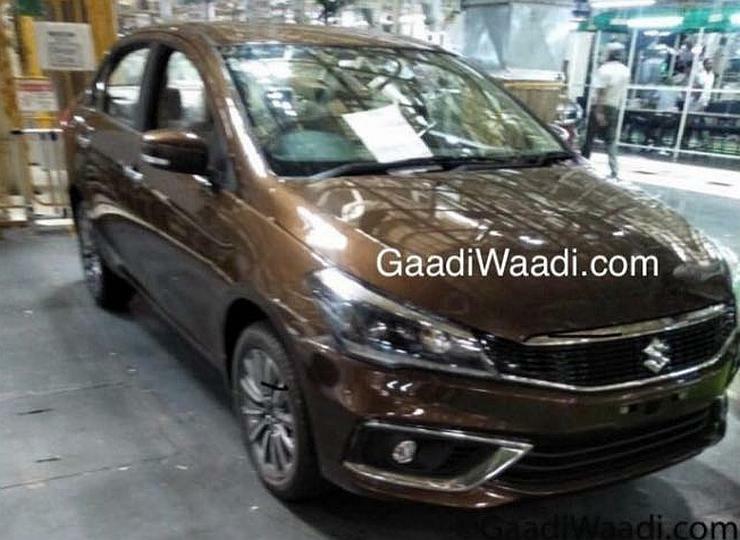 Mechanically, the facelifted Maruti Ciaz will get significant changes. It’ll be the first car in its segment to offer a mild-hybrid feature. The petrol motor will be an all-new, 1.5 litre K-Series, naturally aspirated unit with 106 PS and 138 Nm on tap. 5 speed manual and 4 speed torque converter automatic gearboxes are likely. A Suzuki Hybrid Vehicle System (SHVS) mild hybrid will be standard with the petrol engine. Another key detail is that the facelifted Maruti Ciaz will not get a diesel engine at launch. The 1.3 litre Fiat Multijet turbocharged diesel engine is expected to continue being offered on the car, but this will happen only from October 2018 – a good two months after the launch. The diesel motor is expected to carry on with a 5 speed manual gearbox. As for pricing, the facelifted Ciaz is expected to continue as a value warrior of the C-Segment sedan market in India. Expect the new car to undercut the Hyundai Verna, the Toyota Yaris and the Honda City in terms of pricing. A sub-8 lakh rupee price tag is likely. Here are some more spy photos from Autoportal that show the car, inside and out, in even more detail. A more serious face than with the previous version. What rear LEDs look like when unlit.